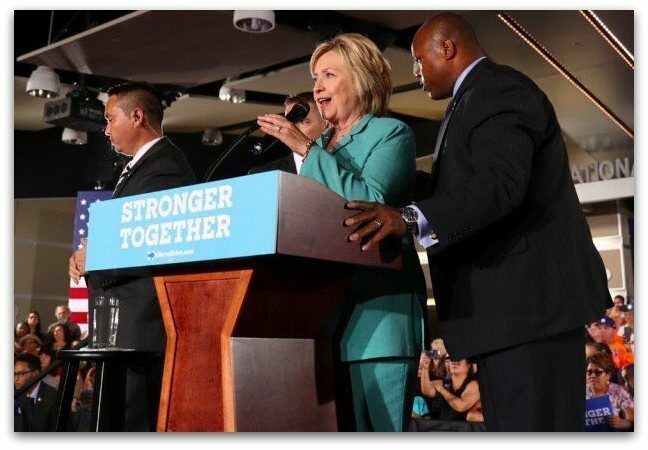 Photos raise questions about Hillary’s health: Does she take Diazepam for seizures? There have been a number of questions raised about the overall health of Democratic Party nominee Hillary Clinton. On Sunday, Jim Hoft posted photos that seem to indicate she may be taking Diazepam for seizures. It sure looks like an auto-injector of some kind, but it’s difficult to say what, exactly, it’s for. Notice, if you will, that after he tells her to keep talking, she repeats the phrase. Here’s another photo of the individual. 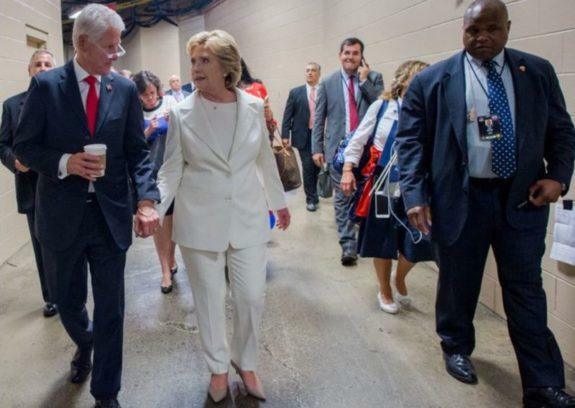 According to Hoft, he was also carrying an auto-injector during her big night at the DNC. 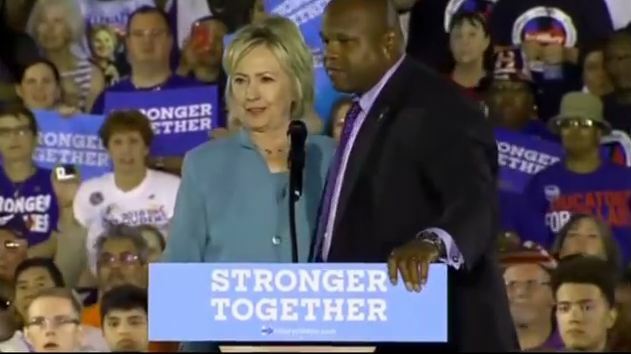 Cernovich says that Huma Abedin is the only person closer to Hillary than this guy. Other pictures he posted show him helping Cling up a small flight of stairs and one photo shows him apparently whispering into her ear during another speaking engagement. “Is he hypnotizing her?” Cernovich asked. “For the first time I’ve known her, she’s showing self-doubt about her strength and vitality,” a friend of Clinton’s told author Edward Klein, who has written about the Obamas and Kennedys in the past. The presidential candidate has also been battling bouts of insomnia that have ultimately “worried her, because it sapped her energy just when she needed it most for the campaign,” Klein writes. “She is exhausted and depressed a lot of the time,” a friend is quoted as saying, adding that Clinton even tried taking sleeping pills to combat the problem, but to no avail. “She said they made her less sharp the next day,” the friend explained. In late 2012, Clinton suffered from a life-threatening blood clot on her brain that left her “constantly worried” she would develop another one, according to Klein. Clinton has insisted she’s in good health and released a letter from her doctor over the summer attesting to her fitness. Dr. Lisa Bardack of Mount Kisco, NY, outlined Clinton’s medical history, which included her treatment for a brain concussion, an analysis of blood clots affecting her legs and brain on separate occasions, an underactive thyroid gland examination, and a complete family history of heart disease. But, Klein said, Clinton is keeping her medical ailments under wraps. Note to GOPers shying away from Trump: Hillary Clinton a clear and present danger to U.S.
What’s up with that ‘hole’ in Hillary’s tongue? Previous articleHuma & Hill’s Brotherhood Mafia Nexus Comes To A Head: DNC Staffer’s Murderous Cover-up!